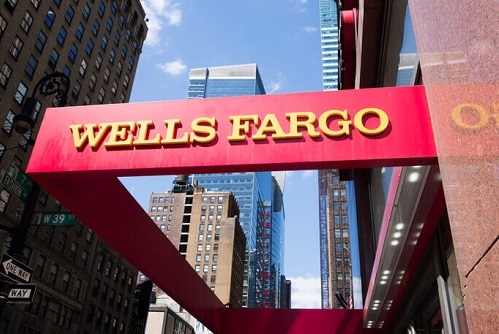 The defense, which Wells Fargo put forth in a legal filing aimed at getting a shareholder lawsuit dismissed, relies on the legal concept of “puffery,” according to a Los Angeles Times report. Generally, businesses engage in “puffery” when they make advertising claims that are vague or transparently untrue – a restaurant claiming it has “the world’s best burgers,” for instance. Judges and regulators have ruled that claims like that are so obviously inflated that consumers won’t take them seriously. Such claims aren’t actionable in court, the Times reported. The thing is, “puffery” usually applies to outsized advertising claims. Wells Fargo is now claiming that the “puffery” defense should be applied to statements CEO Tim Sloan made to investors, and that a lawsuit filed by shareholders should be dismissed on those grounds. The lawsuit stems from one of the bank’s many scandals – in particular the July 2017 revelation that Wells Fargo had for years been charging auto loan customers for unnecessary insurance. The lawsuit is seeking class certification for all investors who bought the company’s stock after Nov. 3, 2016, through Aug. 3, 2018, the Times reported. It was on Nov. 3, 2016, that Sloan announced at an investor’s conference that he was “not aware” of any undisclosed scandals. In fact, Wells Fargo already knew that its improper auto insurance charges had pushed as many as 275,000 customers into delinquency and resulted in 25,000 improper repossessions. In fact, top bank executives allegedly knew of the problem as early as 2012, but took no action until 2016, according to the Times. Regulators have already slammed the bank for its inaction; earlier this year, the Consumer Financial Protection Bureau and the Office of the Comptroller of the Currency fined Wells Fargo $1 billion for the auto-insurance scandal and a rash of improper mortgage fees. The shareholder lawsuit focuses on efforts by Sloan and other Wells Fargo executives to conceal the auto-loan scandal, the Times reported. Wells Fargo execs were, at the time, already dealing with the bank’s massive fake-accounts scandal. They insisted that Wells Fargo would be “more transparent” about its scandals even while failing to disclose the auto-insurance issue. By that time, Sloan had already received an independent report on the auto-insurance scandal, the Times reported. The scandal did not become public, however, until the independent report was leaked to the media in July 2017. “This is just another example of corporate actors making statements to the market, and then trying to avoid liability for the representations they made,” Darren Robbins, the attorney bringing the shareholder suit, told the Times.